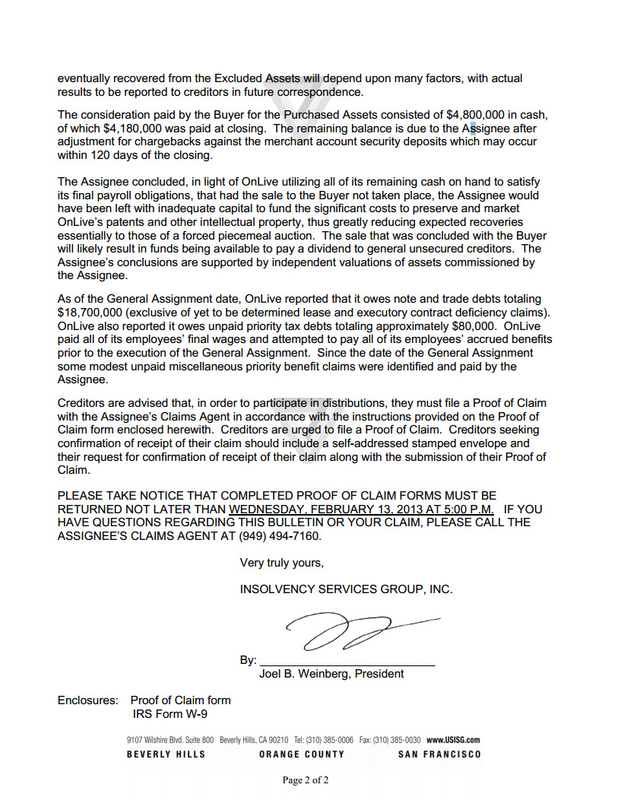 A letter from OnLive’s assignee that was sent to creditors reveals the company and all of its assets were sold for just $4.8 million. The document indicates the sale took place a few days before massive layoffs essentially gutted the streaming game company. Investor Gary Lauder created a new company called OL2 on August 14. He then purchased almost all of OnLive’s assets and intellectual property, a move that would allow the company to remain operational with minimal disruption. Those in charge of OnLive at the time felt this was the only course of action short of filing for bankruptcy. The company didn’t believe they would be able to acquire any additional funding to keep the ship afloat. OnLive reportedly had $18.7 million in debt when Lauder purchased the firm which didn’t include future leases or other contractual obligations. It is believed that creditors will ultimately only receive about $0.26 for every dollar they’re due. The process that OnLive went through is called an Assignment for the Benefit of Creditors. As The Verge explains, an ABC occurs when a company transfers all of its assets to another company or investor. The new owner is responsible for trying to get the most money back to investors (in this case, AT&T, Autodesk, British Telecom, HTC and others). The new owner can accomplish this by trying to run the business more efficient (reducing staff, cutting costs, etc.). Another option is to try and sell the business to another interested party or try and create revenue by licensing patents to other companies. Interestingly enough, rival cloud gaming service Gaikai was picked up by Sony just a month earlier for $380 million. 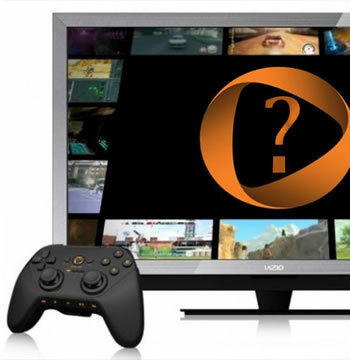 It’s hard for some to believe that OnLive was worth less than $5 million despite offering a nearly identical service.